Last week, Elizabeth of Traveling Wine Chick won the Monthly Wine Writing Challenge #18 (#MWWC18) and just like all winners of the Challenge, her “reward” was to choose the theme for the following Challenge (in this case #MWWC19). After roughly a week of enduring my endless calls and emails, Elizabeth sent me an email with her choice for the new theme. I had to read the email a couple of times (even though it was brief) to make sure that I understood her choice for this month’s Challenge. It was not that her choice was all that difficult to comprehend, but rather it is a word that likely all of us use on a regular basis. In fact, her choice for the new theme I have already used four or five times (depending on how you count) in this brief post. It is a word that is so common, but perhaps easily overlooked. Write a post based on this month’s theme: “Choice”. Use the hashtag #MWWC19 somewhere in your post. Tweet, using the #MWWC19 hashtag and include a link back to your post. 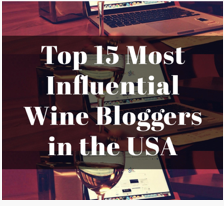 This entry was posted in #MWWC18, #MWWC19, Monthly Wine Writing Challenge, Wine and tagged Challenge, Monthly Wine Writing Challenge, Sommelier, the Challenge, wine, Wine Geek. Bookmark the permalink. Almost exactly what I was thinking…. 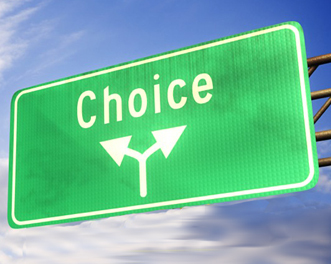 ‘Choice!’ An excellent theme for the next MWWC. I look forward to participating in my first MWWC. Whoa! Maybe that will finally push the Challenge over into the world of legitimacy! I keep telling myself I’m going to participate in one of these, but I never get around to it. I enjoy reading, though. Keep on, wine writers! We will be here, hoping you join! I’m hoping to participate in my first event and look forward to it. When it comes to the blogging, most of us write because we enjoy it but we also want to be found and our writing to be enjoyed by others, and that is what blog promotion is all about.